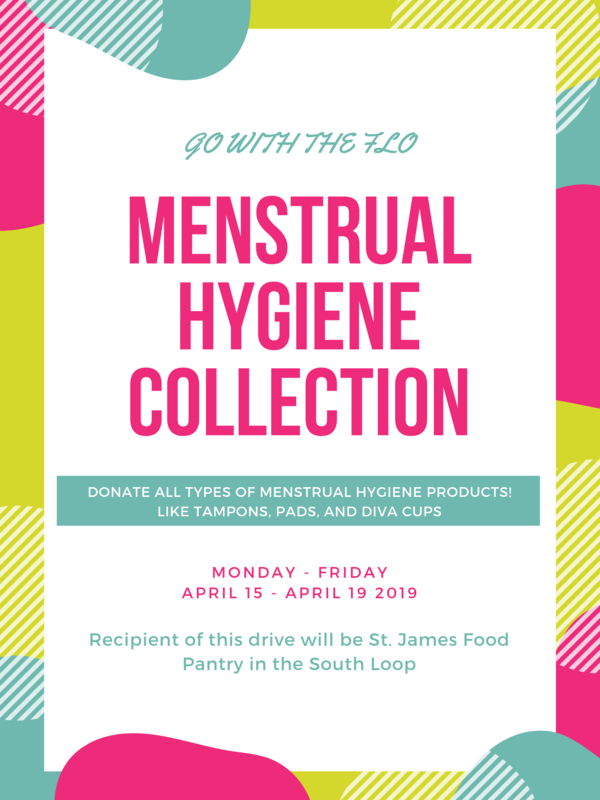 The Office of Campus Life will be holding a Menstruation Hygiene Product Collection to raise awareness on the following topics: Non-female identifying individuals experiencing periods, the “pink-tax,” and barriers individuals experiencing homelessness have in acquiring menstruation hygiene products. Boxes will be placed in various locations across campus such as the One Stop, residence halls, and some administrative department offices. If you are interested in “hosting” a box in your office or other campus location, please contact Rae Chaloult at rchaloult@iit.edu. There will also be tabling on the MTCC Bridge during the lunch hour, Monday, April 15 through Wednesday, April 17. The collection will benefit Saint James Food Pantry in the South Loop.